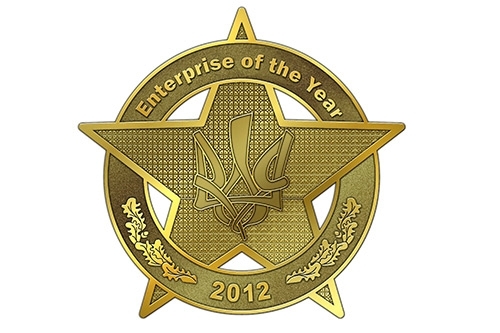 "DEPS Ukraine" is "Enterprise of the Year 2012"
The International Economic Rating «League of the best» awarded «DEPS Ukraine» LLC as one of the leading enterprises in 2012, which ranked first place among enterprises of «wholesale electronic components and equipment» profiling activity. The company was awarded the status- title of «Enterprise of the Year 2012» with the provision of the relevant certificate. Vitaliy Kravchenko the company director was awarded the Order of «Leader of the economy» and rating distinction — the certificate «Manager of the Year 2012 in Ukraine» for his professional and efficient management of the company. It is a hard job today to be a leader in any industry in Ukraine, but the outstanding leaders unite minded teams and jointly they achieve victories to his native enterprises and for the future of Ukraine. International Economic Rating «League of the best» builds company ratings based on the official statistics, using enterprise indicators such as gross income, current assets, sales revenue, return on sales. Ranking is due to the automated system without any extraneous factors influence and without any human intervention. That is why the rating remains independent, honest and transparent. «DEPS Ukraine» rating celebration is a common achievement of cohesive team, is a measure of quality management, is a striking example for businesses in Ukraine.